For years we’ve been helping customers when moving house in York whether homes or offices from and to York as well as covering removals all over the UK. Our established business is so integrated into the York and local community that now we see many regular customers as their lives develop. From starting university and having to move house to setting up a family home, or even downsizing when retiring, we’re proud to be part of these life changing events with our York van man services. Our passion for local culture and people also extends outside the city walls as our removal services are often called upon to bring new people into the city or to take residents somewhere further afield whether across the UK or even moving house across Internationally. No matter why the need for our man with a van services in York, we’re always proud to be the people you trust with your treasured possessions. We decided right from the start of our business to only use the best removal vans, removal staff and dedicated moving van drivers – as our removal business has grown we’ve continued this policy leading to employing some of the most experienced workers in the removal trade. We like to believe that our loyal customer base highlights our commitment to customer care, that returning customers show that you can’t find a better man with van elsewhere. We know we always strive to deliver the best services at the most affordable price as we believe in these tough economic times, you deserve excellent service as standard when parting with your hard earned cash. 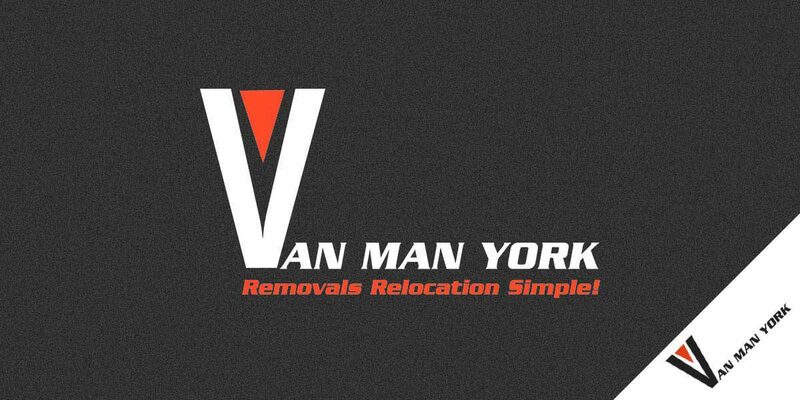 Have a look at The Consumer Voice favourite local Removals fIrms in York. There’s no doubt that the University of York and York St John’s University are both hubs of activity and bring new faces to the city every year. With more and more student accommodation being built in York, this really is a fantastic fast-growing student city. The Van Man York team understand that a student’s budget is limited so we offer specialised services along with a range of tips and advice to keep costs to a minimum. We love being part of the York business circuit as we’re proud of our heritage and strongly believe there are local business with global potential. We’re often called upon for office removals, business premises moves or shop removals and as we operate twenty four hours a day, seven days a week, we can move you during the weekend so you don’t lose any profits through closure of your office or store. Our affordable man with a van prices mafke us popular with those who need only small removals. We are always thinking of our customers and so will choose a vehicle that complements the size of the move to cut costs on fuel. This extra attention to detail means we can often offer more affordable prices than anyone else, so you can shop confidently on EBay for items you can’t move yourself. We understand that when you choose us you are trusting us with your treasured possessions, we have respect for every item no matter how big or small or what the value. We know that your personal items will have memories you want to keep and are difficult if not impossible to replace. Utmost care is taken from the outset, however if the worst should happen we are fully insured to compensate you. To date, not one customer of ours has needed to claim on that insurance but we like you to know it’s there for your own peace of mind. We’re available twenty four hours a day, seven days a week regardless of holidays. Working around you, we offer competitive quotes that ensure every home or office move is completed swiftly and without fuss. We began decades ago as one van and one man. Back then we offered courier services, EBay pickups and student removals in York. Despite our growth we still offer many services we did back then in order to retain the customers we’ve come to know and love. Of course as our removal services have been in high demand, our fleet of vehicles has grown. No longer are we a man with a van, we have a range to suit all home moves. All of our removal vans are the latest Mercedes Benz models. We’ve found these to be the most reliable over the years, strong, sturdy and easy to keep secure. They also offer ample space for your belongings while having incredible suspension to minimise the effects of any bump in the road.